I am surprised that some (not all) of my conservative friends in current Southern Baptist leadership do not comprehend what it is that I am saying in my blog calling for peace and unity in the SBC. A few have told me "you don't know what you are talking about," and one went so far as to say that just as there will never be peace between the Shiites and Sunnis, there will never be peace among moderate and conservative Southern Baptists until Jesus comes. I don't believe that. I am of the firm conviction that there can be peace within the Southern Baptist Convention BEFORE Jesus comes. We must acknowledge that, at times, there has been an unchristian spirit on both sides of the controversy. We must then do all we can to foster a spirit of graciousness and respect toward each other's interpretations of the Word of God (while not necessarily agreeing with one another). Then, we agree to cooperate in missions and evangelism for the sake of the gospel. Of course, we must agree that the gospel is the good news that sinners can be made right with God through faith in Jesus Christ. We are a diverse group of Southern Baptists after agreement on these fundamentals, but we need to celebrate our rich diversity rather than demand absolute conformity. I am committed to the Southern Baptist Convention. I always have been, and always will be. When the Cooperative Baptist Fellowship was formed in Oklahoma in 1993, I nailed "95 Theses Against the Formation of the CBF" on the door of their organizational meeting. I was not condemning these Southern Baptists for who they were, but challenging them NOT to withdraw because we were stronger as a diverse body. Throughout the years I have been excoriated by the CBF for my "Fundamentalism." I harbor no ill will toward the CBF and wish them the best in their missionary efforts, but would ask that any evangelical conservative SBC pastor or church who is sympathetic with the belief that some "moderates" were falsely maligned and slandered to not leave the SBC, but remain and help us moderate the SBC in terms of love, grace and cooperation. "But How Can You Love Someone Who Disagrees With You?" This is where I get really confused. It seems that what is really wrong with our convention is that we have for so long picked sides (ex: "He's a liberal" or "He's in the moderate camp" or "He's a Fundamentalist) that we lose sight of the fact we are brothers in Christ. I am attempting to be more temperate and cautious in labeling people. I confess, when I come under attack, it is easier to label my attackers as "the enemy" rather than to dialogue with them, but I am absolutely convinced that every person in the SBC is a brother or sister in Christ and I can learn to love each of them, respect their views on Scripture, and cooperate and fellowship with them---- EVEN IF WE DON'T AGREE ON EVERY DOCTRINE -- because we join hands around a common cause and have a common bond of love for the Lord Jesus Christ. I think all of us in the Southern Baptist Convention are capable of doing this, even my very conservative friends. Let me give you a recent example. Dr. Billy Graham was interviewed by Newsweek Magazine this past month. Dr. Graham made some comments with which I, and most of my conservative friends, would disagree. You can read the entire interview here, but the following portion of the article clearly reveals Dr. Graham's moderate views of Scripture. While Dr. Graham believes Scripture is the inspired, authoritative word of God, he does not read the Bible as though it were a collection of Associated Press bulletins straightforwardly reporting on events in the ancient Middle East. "I'm not a literalist in the sense that every single jot and tittle is from the Lord," Graham says. "This is a little difference in my thinking through the years." He has, then, moved from seeing every word of Scripture as literally accurate to believing that parts of the Bible are figurative—a journey that began in 1949, when a friend challenged his belief in inerrancy during a conference in southern California's San Bernardino Mountains. Troubled, Graham wandered into the woods one night, put his Bible on a stump and said, "Lord, I don't understand all that is in this book, I can't explain it all, but I accept it by faith as your divine word." Now, more than half a century later, he is far from questioning the fundamentals of the faith. He is not saying Jesus is just another lifestyle choice, nor is he backtracking on essentials such as the Incarnation or the Atonement. But he is arguing that the Bible is open to interpretation, and fair-minded Christians may disagree or come to different conclusions about specific points. Like Saint Paul, he believes human beings on this side of paradise can grasp only so much. "Now we see but a poor reflection as in a mirror," Paul wrote, "then we shall see face to face." Then believers shall see: not now, but then. Debates over the exact meaning of the word "day" in Genesis (Graham says it is figurative; on the other hand, he thinks Jonah was actually swallowed by a whale) or whether the "Red Sea" is better translated as "sea of reeds"—which takes Moses' miracle out of the realm of Cecil B. DeMille—or the actual size of ancient armies in a given battle may seem picayune to some. For many conservative believers, however, questioning any word of the Bible can cast doubt on all Scripture. Graham's position, then, while hardly liberal, is more moderate than that of his strictest fellow Christians. Asked about his son's use of the phrase "evil and wicked" in reference to Islam, Graham says: "I would not say Islam is wicked and evil ... I have a lot of friends who are Islamic. There are many wonderful people among them. I have a great love for them. I have spoken at Islamic meetings, in Nigeria and in different parts of the world." The father's view, then, is different from the son's. "I'm sure there are many things that he and I are not in total agreement about," Graham says. "I'm an old man, he's a young man in the prime of life." A unifying theme of Graham's new thinking is humility. He is sure and certain of his faith in Jesus as the way to salvation. When asked whether he believes heaven will be closed to good Jews, Muslims, Buddhists, Hindus or secular people, though, Graham says: "Those are decisions only the Lord will make. It would be foolish for me to speculate on who will be there and who won't ... I don't want to speculate about all that. I believe the love of God is absolute. He said he gave his son for the whole world, and I think he loves everybody regardless of what label they have." Such an ecumenical spirit may upset some Christian hard-liners, but in Graham's view, only God knows who is going to be saved: "As an evangelist for more than six decades, Mr. Graham has faithfully proclaimed the Bible's Gospel message that Jesus is the only way to Heaven," says Graham spokesman A. Larry Ross. "However, salvation is the work of Almighty God, and only he knows what is in each human heart." Why Silence Over Dr. Graham, but Anger and Exclusion for Others? There is a deafening silence from our Southern Baptist leaders regarding the remarks of Dr. Graham. These Newsweek remarks are just a portion of what Dr. Graham has said publicly about what he believes. His moderate views on women in ministry, the church, the priesthood of every believer, and other topics run directly counter to the BFM 2000. Yet, he is a beloved statesman of our convention. Don't get me wrong, I think it is an appropriate silence from our leaders, but it is deafening because if anyone in the "moderate" camp of the SBC had made these remarks he would have been labeled a heretic so fast his head would spin. Yet Dr. Graham's statue, dedicated at this year's Southern Baptist Convention in Greensboro, now stands in front of the Executive Headquarters of the Southern Baptist Convention in Nashville, Tennessee. I don't agree with Dr. Graham's views, but I would not stop him from preaching in my pulpit, serving as a trustee of one of our agencies, or even being a missionary from the SBC to the world at large --- not to mention seek to remove him from leadership or fire him from employment. I propose that when we can come to the place that our common faith in Jesus Christ is the ONE thing that unites us, and though we teach ALL the interpretative views of soteriology, eschatology, ecclesiology, and missiology, we don't demand conformity, but celebrate our diversity --- ONLY THEN will the power of God fall on our convention in ways it seldom has. "By this will all men know that you are my disciples, if you have love one for another" Jesus said. It's time people started standing up for the little guy --- the missionary, the small church pastor, the dedicated Southern Baptist layman, who may not see eye to eye on every jot and tittle of any self-appointed doctrinal watchdogs of the SBC, and remind all of us that every believer is accountable to God, we have no creed but the Bible itself, and every believer is a priest unto God --- not just the Billy Graham's of this world. Only then will the Southern Baptist Convention return to her heritage of a reverance for Scripture, free debate and conscientious dissent, cooperation in missions, and a love for our fellow man. It's time for all of us to lay down our swords and pick up the plows. The fields are white unto harvest. If you and I can't get over the past, and focus on building a bridge toward the future with all Southern Baptists, then the problem is possibly in our hearts, not our brother's. Wow. Be still and know that I am God. I will be exalted among the Nations. I will be exalted in the Earth. Praise the Lord. Pastor Wade..... You have made another very good post....It took me to Phil 3: 1-11 with special emphasis on 3:8 (KJV)....Lets preach Christ crucified!!!!! Concerning your post - I would make only one correction. You write: "If you and I can't get over the past, and focus on building a bridge toward the future with all Southern Baptists, then the problem is possibly in our hearts, not our brother's." Based upon James 4: 1-3, I would eliminate the word "possibly". "It's time people started standing up for the little guy --- the missionary, the small church pastor, the dedicated Southern Baptist layman, who may not see eye to eye on every jot and tittle of any self-appointed doctrinal watchdogs of the SBC, and remind all of us that every believer is accountable to God, we have no creed but the Bible itself, and every believer is a priest unto God --- not just the Billy Graham's of this world." Perhaps then, Wade's above thoughts will be what people think of when they look at Dr. Graham's statue. It has taken the northern US & the southern US longer to get over the Civil War than the for the US & Japan to get over Pearl Harbor. Maybe the evangelistic team of one of Gen. Jimmy Doolittle's Tokoyo raiders & the Japanese pilot who led the Pearl Harbor attack helped. In other words: two former "enemies" arm in arm in genuine fellowship around the cause of Christ. May the more conservative Southern Baptists and those slightly to somewhat less conservative put them both to shame. Count me me for whatever help I can be. I agree with you 100%. I'd rather not attach historical labels to people. I don't know if my realtives were from the Hatfield's or McCoy's. Nor do I know what clan you might have been from. But since that fight is water under the bridge I guess I don't have to do extensive reserch to determine if I can cooperate with you or not. I don't want to fight the Civil war again. I don't want to have to get in an argument as to whether Sherman's march through Georgia was warrented based upon the South's succession due to many issues including slavery. Speaking for my self (and my wife and daughter) I just would like to be in a congregation that works to praise Jesus and spread the Gospel. I am very conservative. My wife and I were married in a Southern Baptist Church in 1965. I was saved and Baptized in that same church in 1960. My relationship with the Lord was unadorned with SBC superstructures in those days. I didn't realize that there was a BF&M. I didn't realize that it was defective and in need of revision (as it eventually was in 1963 and 2000). I don't see the SBC and the CBF merging anytime in my lifetime. Another trend is that there may be people who were raised as kids in either background who view this whole battle as an irrelevant battle between old people (remember the battle was a generation ago in the 1970's and 1980's). No wonder people are asking if we are crossing into a postdenominational period in the USA. My own view. The CBF vs. SBC split was unfortunate. Cleaning out the liberals from the seminaries was necessary. There was a lot of unchristian activity on both sides. Accept for one time several months ago, I've resisted the urge to comment. My wife and I were both journeymen and missionaries with the Board (all total 17 years). I've not wanted to write because, very simply, I just haven't felt like jumping back into all of this. Our departure from the field in Central and Eastern Europe was so painful for us. We loved where we were serving and the people among whom we served. It broke our hearts to have to leave. We had learned the language and were so focused in our work of church planting. But the mandate to sign the 2000 BF&M came along, and we took about 8 or 9 grueling months to make a decision. My wife and I took many, many long walks (in the snow, sometimes). So many days we wanted to sign and move on. On others, we just couldn't see how we could do this with integrity. In the end, we felt that we could not be part of a precedent of the narrowing of our Convention. We felt like the BF&M was being used as anything but a faith statement. We felt as if it were being used as a litmus test and creed. Nevertheless, we were working along conservative lines and never played the politics of the Convention. We focused on sharing the gospel--this was who we were. We were so sad that the politics had been brought to us and virtually dumped into our laps, when all we wanted to do was love the people whom we were called to serve among. We left because we could not sign, and we felt like we had to stand upon our convictions and be an example to our children where conviction was concerned. We also left because we knew that ulitmately, if we did not leave we would be fired. This was not how we wanted to end our careers with the IMB. Thank you for your words. It's good to know that missionaries have an advocate. I, too, pray along with you that someday we will see a turn in our Convention. My wife and I long to be back overseas, and particularly in the area where we were serving. Our hearts are still there and our call is still very real to us. The wound has healed in these four years, but the scar is still very much there. Maybe one day we will get to go back. Simply put, Jesus told His disciples to live at peace with each other. Paul wrote that we are to have unity. When we don't, it's sin. Period. I'm going to address this on my blog. I'm not sure I can agree with you that it would be a faithful (or, in the long-term, heplful) step for the SBC to broaden its understanding of inerrancy (along the lines of Graham, let's say). However, I will point out two VERY helpful outcroppings from your post. 1. It is certainly sinful to divide with others (brothers or not) in the MANNER in which it is so often done. Your treatment by some in the Convention is a case-in-point. The idolization of success (i.e. numbers). If some one really pack 'em in, we rarely even ask what he believes. As you know, Wade, I've been trying to figure out why Billy Graham got a free pass on things that would have gotten others basically excommunicated. I think it has to do with success. He's been successful, therefore, it doesn't matter what he believes or practices. The same is true with our stance toward megachurch pastors. As long as you can show large numbers and budgets, then no one wants to look too closely. If you don't have power, then, you're fair game. There is something even deeper at work, and it's a lust for power and prestige that is ripping us to shreds. This is why we vote down the Integrity on Church Membership Resolution. We don't want to ask our larger churches who have 2,500 members but 750 in attendance to quit lying. We might upset them. And, if we couldn't claim the 16 million number and be the "World's Largest Protestant Denomination," then we would lose social and political clout as well. We erect a statue to Billy Graham whose doctrine is the antithesis of the Conservative Resurgence because he is powerful and we love power. He has brought in the numbers and we LOVE numbers. I greatly respect Billy Graham, but that is why he got a free pass. As for applying that ethic to other Southern Baptists of his persuasion who are missionaries or small church pastors, I don't think it will happen anytime soon. Not unless they have a 10,000 member church and big CP giving, that is. Rick Warren just said, in response the a question from a Fox reporter concerning whether he is right wing or left wing, he said: "I'm for the whole bird!" I think we're all for the whole bird. But here's the thing. I can't BE the whole bird. I can be FOR the whole bird, but I've got to be either, in the center, on the right, or on the left. I think both wings wish the best for the other. And I think a very very few people on both sides really ever end up name-calling, slandering, and maligning others. It might be beneficial to think upon how far Holy God condescends to allow unholy men to cooperate with Him in His marvelous work to redeem humanity. What a "cooperative spirit" our Lord has! I consider myself the right wing, but I love the balance my left wing brother gives to me. Thanks for offering a very good illustration. I really hope you are correct about just a very few in the SBC who resort to name calling. If that is the case, I must just be unfortunate in that I have heard from most all of them in the last few months. Very good post. We must work towards peace within our convention. I often wonder, with all of the divisions that we have, how in the world everyone in our convention is going to share the same heaven. We quickly become focused on things that are not the main task. Oh, I just had another thought about this post. Why do you suppose it is call the cooperative program? Yes, yes, and yes to all the comments. All I could do earlier was quote a verse because I had nothing to say in response to such a great post. But, to Robert and so many others I must say, yes! Why do we get so up in arms about things when the God who has every right to destroy what He created is patient and merciful with us? When we aren't patient and loving to those who may believe differently about aspects of our faith are we just being like the debtor that was forgiven the multi-million dollar debt and then who runs to the guy who owes him a few bucks and shakes him down for it? And, what does it say to those who don't believe at all when they see people who, from their perspective, are supposed to be of one mind, tearing each other apart? I've been so burdened of late with the tenor of the commenting, but this is a great discussion. Excellent points as usual. The facts are we a closer theologically to are "moderate" Baptist friends than we are to some other fine denominations. Yet, we will allow a pro-choice, wine drinking, Presbyerian woman speak at the SBC Convention and get a standing ovation but we can't get along with some of our Baptist friends? Shame on us! Would anyone answer these questions? 1. Did ANY Southern Baptist churches know what changes to the BFM 1963 were to be voted on? 2. Did ANY church messengers know of any DELETIONS and ADDITIONS before they went to the convention? 3. WHY WERE CHANGES KEPT SECRET? 4. Major motions are to be voted the NEXT year—why was the rule BROKEN? 5. WOULD THIS VIOLATION MAKE THE VOTE ILLIGAL? Hey! I’m serious. Ah, you have taken us back in time when Pharisees slandered Jesus but were silent about John the Baptist. Today, men attack you but are silent about Billy Graham. Graham does NOT represent moderates when he states he doesn’t know if Muslims, Buddhist etc will be in heaven or not. How does he justify saying this when he believes the Gospel? If people can go to heaven without Jesus, then Jesus died for nothing. Another Home Run for the GLORY of GOD!!!! We believe that this Holy Scripture fully contains the will of God and that all that man must believe in order to be saved is sufficiently taught therein. The whole manner of worship, which God requires of us, is written in it at length. It is therefore unlawful for any one, even for an apostle, to teach otherwise than we are now taught in Holy Scripture: yes, even if it be an angel from heaven, as the apostle Paul says. Since it is forbidden to add to or take away anything from the Word of God, it is evident that the doctrine thereof is most perfect and complete in all respects. We may not consider any writings of men, however holy these men may have been, of equal value with the divine Scriptures; nor ought we to consider custom, or the great multitude, or antiquity, or succession of times and persons, or councils, decrees or statutes, as of equal value with the truth of God, since the truth is above all; for all men are of themselves liars, and lighter than a breath. We therefore reject with all our heart whatever does not agree with this infallible rule, as the apostles have taught us: Test the spirits to see whether they are of God. Likewise: If any one comes to you and does not bring this doctrine, do not receive him into your house or give him any greeting. The 1689 London Confession of Baptist Faith. This would be the perfect Confessional for the SBC!!! When a "spokesman" has to clarify what Billy Graham just spoke, its not clarify what he said, its to appease Bible-believing Christians who know that he blew it. Five minutes ago, I read the touching comment by Monte Erwin—the missionaries that left God’s call for his higher calling of integrity. I have two questions. 1. Based on the comments that Billy Graham made could he teach in a SBC seminary today? 2. Whatever happen to Dr. Charles Stanley? I too was touched by Monte Erwin's comments and feel for him and his wife. However, Rex, when you said, "God is still calling—“Come fed my sheep” and the IMB is yelling back, “No—they won’t sign our creed that gives allegiance to us.” It was not the IMB or Jerry Rankin's decision to not allow people like the Erwins to continue to serve. Jerry Rankin promised missionaries already serving on the field that they would NOT have to sign the new BF&M. But, later, the trustees reversed that decision. When you say "the IMB" realize that there are sometimes differences between decisions of IMB administration and decisions of IMB trustees. you said, "but I am absolutely convinced that every person in the SBC is a brother or sister in Christ"
you don't really believe that do you? That statement SHOCKED me. I don't believe every person in the SBC is a brother or sister in Christ. Certainly that just didn't "come out" right. I was thinking more of the convention leadership that I work with (trustees, administrators, SBC employees, agency heads --- particularly those who are angry with me) than the people on our church rolls. You make an outstanding point. I have never met ONE missionary fired for refusing to sign the BFM, ONE so called "moderate," ONE individual in BGCT leadership or BGAV leadership who would come close to saying what Billy Graham publicly said in Newsweek. Why do want to excoriate and exclude our SBC brothers who are far more conservative than Billy Graham? I think we should not, and if we get to the place where we don't, our convention will be healthier for it. I was an independent Baptist Pastor for 27 years in the Great Lakes States, and managed a Christian radio station for 10 years in Nashville, when I began to attend an SBC "mega" Church. I considered myself a "Fundamentalist", and do to this day. However I am confused when I read passages like James 4:4, I John 2:15-17, I Peter 1:14-19, and especially Ephesians 5:6-11. When a brother, no matter who he is, is in Scriptural error, are we not to rebuke,, and exhort them, and maybe even admonish them for their error? I believe we are, but with the Spirit of love of course hoping to persuade the person in error to respond rightly. I may be wrong, and perhaps Wade could provide some clarification on this, but our understanding at the time was that we were being made to sign as a result of an administrative decision. They did this in hopes of averting any suspicion away from from the IMB and missionaries. However, my understanding was that other agencies, such as Lifeway, handled this in a much different manner, which did not result in people feeling as if they had to leave. We were told that if we had problems with this that we would be provided "counseling" from administration. Such counseling resulted in coersion to sign, stating, "This is not a creed, go ahead and sign it." We didn't agree. You are, however, correct about Jerry Rankin's promise to missionaries that we would not have to sign. Just the year before, we were on stateside assignment and were attending a conference at Ridgecrest. There, in a small group setting, Dr. Rankin assured us that if it were left up to him, we would not have to sign. Having been with the IMB for several years, several re-organizations, and administrative changes, we came to feel as if Richmond had lost sight that they were there for the missionaries. We came to believe through experience, that it was the other way around. We were there for Richmond. So many times the stress we felt as missionaries did not come from the field in which we served, but from Richmond. you know, i have heard billy graham say that the only way to heaven is thru Jesus Christ many, many times. i have also heard him call the bible Gods Word...that its absolutely true. i dont agree with his daughter being a preacher. thats wrong. and, i dont care who her father is...it's still wrong. i love charles stanley. he could still preach all over the world. but, he should not be a pastor. he could still preach in all sorts of situations, but he should not be a pastor of a church. he is wrong. i would not be for anyone teaching in our seminaries who doesnt believe the bible to be Gods inerrant, infallible word. i would not be for anyone teaching in our seminaries who doesnt know that muslims and jews and buddhists go to hell when they die. who doesnt understand that Jesus is the only way to heaven. many have given their 2 cents worth about the bf&m. 2) That we DO NOT regard them as COMPLETE STATEMENTS of our faith, having ANY QUALITY of FINALITY or INFALLIBILITY (that means it could be wrong). 4) That the SOLE AUTHORITY for FAITH and PRACITICE among Baptists is THE SCRIPTURES of the Old and New Testaments. Confessions are ONLY GUIDES in interpretation, HAVING NO AUTHORITY OVER THE CONSCIENCE (that’s a major statement about the conscience…but do you believe it?). 5) ...are not to be used to hamper freedom of thought or investigation in other realms of life. for me, it's the preamble that keeps our confessions in check. otherwise, they would probably become creeds and not confessions. as far as I am concerned whether you affirm the '25, the '63 or the '00, you are at the same time affirming the preamble. Again thanks for the post. I might say that the issue I have is from many of the comments said. They seem very one sided. Like you posted, "We must acknowledge that, at times, there has been an unchristian spirit on both sides of the controversy." I truly believe there are some so called "moderates" (I really hate labels) who have the same non-cooperative attitude with conservatives. Case in point: The year when the BGCT was voting on how much money it would send to the executive committee and the SBC seminaries, Dr. Hemphill was trying to address the BGCT at their state convention asking them not to vote in favor of the measure. From what I understand, the powers that be did everything they could to keep Dr. Hemphill from addressing the convention. If there was anyone who had a cooperative spirit to work between moderates and conservatives it was Dr. Hemphill. By the time the trustees pushed signing the 2000 BF&M at SWBTS, Dr. Hemphill was trying to act as an intermediate spokesman between the professors and the trustees. THE SO CALLED "MODERATE" BGCT PUSHED A COOPERATING CONSERVATIVE BACK! I would hope that many of the commentators to this post who want to point fingers at the powers that be in the SBC will take an honest look at how there side has been back biting, bullying, and mean spirited. That activity doesn't follow a label, it follows people who can't find common ground and love for their fellow brother. I wish love and blessings to all who have commented and especially to Bro. Wade. Your calls for peacemaking are appreciated by this so-called moderate who is in truth a conservative in terms of traditional Baptist beliefs. This has become so typical of your lack of honesty. Why did you not print the complete statement concerning Dr. Graham? Perhaps because it disproves your thesis. The more I read from you the more I become disillusioned. Below I have posted the complete statement. “When asked whether he believes heaven will be closed to good Jews, Muslims, Buddhists, Hindus or secular people, though, Graham says: "Those are decisions only the Lord will make. It would be foolish for me to speculate on who will be there and who won't ... I don't want to speculate about all that. I believe the love of God is absolute. He said he gave his son for the whole world, and I think he loves everybody regardless of what label they have." Such an ecumenical spirit may upset some Christian hard-liners, but in Graham's view, only God knows who is going to be saved: "As an evangelist for more than six decades, Mr. Graham has faithfully proclaimed the Bible's Gospel message that Jesus is the only way to Heaven," says Graham spokesman A. Larry Ross. "However, salvation is the work of Almighty God, and only he knows what is in each human heart." Why do you use Dr. Graham, a man of God who has been medicated of Parkinson’s disease for years, to prove your case. How low will you stoop? This Okie agrees that your post today is outstanding. Sadly, Southern Baptists and Baptists in general have a history of "eating their young" over non-essential or "gray-area" Christian doctrines. Nevertheless, all of us should be eager to search the Scriptures, to faithfully discern and divide the word of God, and exchange our perceptions of its truth with other Christian believers. However, such a dialog is not constructive when we cease addressing the issues of doctrine and switch our focus to attacking those who disagree with us. This Okie is praying that the Lord will inspire those of us who are His children will become more inclined to be gracious, kind, gentle, and cooperative with one another in spite of the differences we may have in nonessential doctrinal issues. David Mills brings up an excellent point. We are instructed to correct our brothers and sisters who are in error. However, the critical issue is that there is a real difference between error and legitimate differences of interpretation. There are many assertions that can be easily identified as error, and I would feel obliged to try to correct a brother or sister who was promoting such. For example, claiming Christ did not really die but just fainted is not consistent with scripture and is clearly an error. However, many people, including several regulars on this blog, are so certain of the correctness of their interpretation on matters such as authority to baptize, the appropriateness of a speaking tongues in private prayer, and the necessity of abstaining from alcoholic beverages that they are willing to exclude people from service in the SBC over these issues. How anyone reading these blogs or any of many books that have been mentioned in them could claim that the Bible allows an absolutely definitive position on any of these issues is beyond my understanding. When asked to reconcile specific objections to their position, these individuals have not been able to do so. However, they remain certain that they are right and everyone who disagrees is wrong. Often, as has happened to Wade many times, people who disagree with them are not just referred to as wrong, but as dangerous, or devil possessed (or at least devil deceived), or worst of all- liberal. Either Paul was right that we see through a glass darkly and will not understand everything in this life, or the Bible contains an error. The danger of insisting that there must be a "correct position" on everything in scripture and in church governance is that the SBC has established a precedent (with its IMB decisions and resolution about alcohol use) in which people who disagree with the majority interpretation are excluded from service. So, when will the SBC fire Dr. Mohler? His five point Calvinism surely is not the majority interpretation in the SBC, and this issue is surely more important than baptism or alcohol-because it invovles salvation. What would be the next issue of exclusion? Is there a majority opinion in the SBC on eschatology, on the role of modern Israel in prophetic predictions, on the 24 hour versus era interpretation of "yom" in Genesis 1 and 2? Maybe those falling on the "wrong" side of these issues will be next to go. If so, why stop there? I do not want to go off topic, but the support by many in the SBC of the idea of pulling our children from public schools is another indicator of an exclusionary and isolationist attitude. I believe the SBC is at a crossroads. We will either continue down the path of exclusion and isolation and become less and less relevant to the cause of Christ, or we will agree to disagree on secondary issues and continue cooperating and invade our culture for Christ rather than hiding away in holy huddles. I really appreciate your post. I have grown up in Southern Bapitst Churches all my life. My father is a Southern Baptist Pastor, my grandfather was a Southern Baptist pastor. I have a brother who is an IMB missionary, and I too, am a Southern Baptist pastor. I came of age during the great Southern Baptist fight. Some of my earliest memories are going to the SBC and having a big fight over who would be the next president. I went to SWBTS when Dr. Dillday was president and remember there were times when the trustees were meeting and wondering what was going to happen next. The result of that time was that I pretty much tuned out of the SBC. Yes, we still give to the Cooperative Program and still support the things that we can support, but for me and my church, much of what I have experienced has been about power and position, not Kingdom Work. I have stayed Southern Bapitst because I believe it is the still best way to do missions, but have done so with a heavy heart. In my church I don't ask for Doctrinal conformity. We have a statement of faith that covers the fundamentals of the faith, and then we state, in everything else we have liberty. That doens't mean that I don't preach my convictions, it means we make what I consider secondary doctrinal possitions truly secondary. We have to cooperate if we are going to be the church of God. If we are not careful, this great convention that has done so much will go away. God will take His hand of blessing off of it. God doens't need us, we need Him, and if we refuse to treat brothers and sisters in Christ truly as brothers and sisters and Christ, then God will not bless us. I would urge us to learn how to live together in Christ. There is less that divides us than binds us. I can't speak for all, but I do believe that many my age and younger are truly not interested in politics and position. We've seen where it will lead. We are more interested in Kingdom work. This work is far too important to spend a moment of my time doing less than what we have been called to do. JESUS repeated His warning: Be on your guard against the yeast of the Pharisees and Sadducees (Mat_16:6). Their teaching was like pervasive yeast, penetrating and corrupting the SBC. These people honor me with their lips,but their hearts are far away. for they replace God's commands with their own man-made traditions. You are so logical I think you must be a research scientist. Are all of those bottles in the background various chemical reagents? Too bad you are not on the IMB BoT. I think it would be refreshing to have a few more laymen on the BoTs of our agencies. Have I understood you correctly? Did you claim in this post that as a trustee of the International Mission Board, you would not oppose the appointment nor support the firing of a missionary who held open the possibility of salvation apart from the gospel of Jesus Christ? My dear brother, please tell me that I have misunderstood your statements. You and the Cat (whoever he is) would do well to actually read what I write and comment on the subject at hand rather than throw out red herrings that have absolutely nothing to do with what was written. Cameron, to answer your question directly --- no. To ask you a follow up question: What in the name of Charles Spurgeon led you to that conclusion? Cat, I have been accused of many things and I am capable of being dishonest, but to be accused of dishonesty over this post is a tad over the top. Now a question for your both. Do you agree with Mr. Graham's statement, and do you think he is a true Southern Baptist, capable of serving as a trustee of one of our agencies? "Other than those things my father and I have written, that is the best post I have read on the internet." "the idea of pulling our children from public schools is another indicator of an exclusionary and isolationist attitude." I am sure that my teaching of my children at home, and Brother Wade's church's teaching of children in a private Christian school do not convict us of any kind of un-Christian attitude. Please take note that there are many things a Christian should "exclude" from his life, and many things from which a Christian should remain "isolated." If you are in favor of cooperating with other Southern Baptists who do not see eye-to-eye with you on secondary matters, please include us home schoolers and private schoolers in your cooperation. In your last post, you asked for a definition of a phrase, which included the term "theologically conservative." Billy Graham's view of salvation outside of Christ, which you referenced, is NOT theologically conservative. He has believed for years (not just recently, nor as a result of Parkinson's or medication) that salvation is possible outside of faith in Christ. In a 1997 Interview with Rober Schuller, Billy Graham said, "Yes, it is, because I believe that. I've met people in various parts of the world in tribal situations, that they have never seen a Bible or heard about a Bible, and never heard of Jesus, but they've believed in their hearts that there was a god, and they've tried to live a life that was quite apart from the surrounding community in which they lived." Neither would I advocate, however, resorting to any un-Christian measures for censuring him. I would not throw "liberal" at him, nor would I say of him, "He doesn't believe the Bible." We must draw the line somewhere. I am not expert enough in theology, nor wise enough in discernment to know exactly where the line is, but I know it is somewhere between Billy Graham and me! The statue should never have been built, and for as long as it and our other forms of Big-Name Preacher worship continue, our people will suffer from whatever doctrinal problems those big-name preachers feed us. I am truely overjoyed to read that I did in fact misunderstand your statement. And I don't blame you for getting a little fluffed up by my question, as it is indeed an incredibly serious matter. But know that it was not me throwing "out red herrings that have absolutely nothing to do with what was written." It was a serious question that resulted from reading what you wrote. Now, allow me to set the record straight by showing you what it was that I actually did read in your post that, in the name of Charles Spurgeon himself, led me to my question. In your post, you qouted extensively from this article to show that Dr Graham's theology may not be as conservative as many assume it to be. You gave particular emphasis to this qoute: "When asked whether he believes heaven will be closed to good Jews, Muslims, Buddhists, Hindus or secular people, though, Graham says: "Those are decisions only the Lord will make. It would be foolish for me to speculate on who will be there and who won't ... I don't want to speculate about all that. I believe the love of God is absolute. He said he gave his son for the whole world, and I think he loves everybody regardless of what label they have." Such an ecumenical spirit may upset some Christian hard-liners, but in Graham's view, only God knows who is going to be saved. Whether it is a result of the editing of the original article, or Dr Graham's views, the point being made here is that Dr Graham evidently refused to say that salvation is found in Christ alone. By "not speculating" on how God might deal with non-Christians, he has, to use the phrase of my question to you, held open the possibility of salvation apart from the gospel of Jesus Christ. Four paragraphs later, you wrote: I don't agree with Dr. Graham's views, but I would not stop him from preaching in my pulpit, serving as a trustee of one of our agencies, or even being a missionary from the SBC to the world at large --- not to mention seek to remove him from leadership or fire him from employment. Having pointed out this evident liberality in Dr Graham's theology, you have gone on to state that you would not stop him from being a missionary, nor seek to fire him from such employment. Having "actually read" this in your post, I'm not so sure that my subsequent question is a red herring. To answer your question for me, if your quotation of this article is an accurate reflection of what Dr Graham truely belives (and taking all of this from someone who qouted someone who qouted him, that's a big "if"), then, I personally would not support him in a leadership position of the SBC. If Billy Graham were a leader in the SBC, were a professor in one of our seminaries or the head of an agency, I would be very upset with what he says. I think most of us realize that the changes in his views might have to do with declining health. I love Billy Graham and appreciate his ministry. But if he was a leader in our denomination and said these things - I would take a stand against that. The compromises he is making are fundamental and dangerous. you can be orthodox and believe that women can pastor, look at the Assemblies of God. Advocating women in pastoral ministry does not make you a liberal. You can not even be a CHRISTIAN and deny that Jesus Christ is the way, the truth and the life...let alone be a moderate or liberal one. We need to stop calling people conservative, moderate or liberal, almost everybody here, including myself and Wade are guilty of making these FALSE qualifiers. You are either SAVED or you're not (I feel like preachin!). There is only ONE WAY to be saved and that is by grace ALONE through faith ALONE in Jesus Christ ALONE. That's it. Galations 1:8 But even if we or an angel from heaven should preach a gospel other than the one we preached to you, let him be eternally condemned! at this point, I would not allow Graham to speak at my church, I just couldn't. I'd vote against him on any board if I had a vote. I can't stand in support for him anymore. Wade and I draw different conclusions...but...he's right, we must be consistant with who we will and will not associate with. Wade, you're right on that one sir. Has anyone thought of the fact that all the bickering, fighting and jockeying for position in the SBC might be the result of personal jealousy and selfishness than disagreements over theology? Back in 1979, when the smoldering under the surface broke out into flames, I was just graduating from a state convention supported college, getting ready to go to my first ministry position. I had only been a Christian four years, but had observed some things in various levels of denominational life that struck me as a bit hypocritical for people who were supposed to be imitating Christ in their servanthood. During my four years in college, the school had extended several "honorary doctorates" to people serving in denominational capacities, noting them to be "prominent" individuals. There were many people who had a nice resume of service in SBC and state convention life, having been rotated from board to board as their terms expired, kept in place by a network of school-tie relationships and friendships. To me, it appeared that a small clique of prominent people ran all of the institutions of Baptist life while individuals like my own pastor, who served for a total of 50 years in congregations of less than 100 people in small towns and rural areas, were overlooked and excluded. I'd heard stories of some things that were taught in seminary classrooms, since I was interested in attending seminary at the time, but the main reason I welcomed the conservative resurgence was its promise to open up the trustee boards and committee posts to a wider, larger group of Baptists. Sadly, what happened was that one clique was replaced by another, and after initially seeing some new names and faces on trustee boards and committees, what transpired was that an even smaller group of individuals, mostly mega-church pastors, have claimed tighter control over who sits on those committees and boards. We are still basically looking at trustee posts, committee seats and denominational jobs being given to the loyal friends of those who hold power. People like my former pastor would still never be considered. Look what happened to those who were displaced from the SBC, beginning in 1979. As they were cycled out of leadership, and thus out of their prestigious, prominent positions, they created a new organization where they could still be top dog. Likewise, as the new leadership in the SBC came into power, it gradually rewarded itself with the top denominational positions and created ways to stay in power once they got there. Some of them have been in their positions for over 25 years, and the difficulties that are now being seen in the SBC are, IMHO, the result of jealous attempts to hang on to that power as long as they can. I just don't see that as being consistent with any Biblical theology. With half our membership over 60 years of age (according to Lifeway), 11 million people on the church rolls who don't attend church on any given Sunday, 80 percent of our churches plateaued or declining and Baptisms dropping off, we need a wake up call, or there will not be anything over which to fight or be jealous of in another two decades. I agree that we have labeled unfairly and that both sides in this controversy were guilty of all sorts of wrong-doing. Standing before Jesus, I think many of us will regret our attitudes and words. However, we cannot be theological pollyannas and act as if there was not a real problem in the SBC that needed to be dealt with. While I do not support all their tactics, I am thankful that a group of men (men I stood against to some extent at the SBC this year) stood against the liberal theology that WAS being promulgated by a few in our seminaries and elsewhere. In spite of their failings, they did the kingdom a great service and we should not ytry to rewrite history and pretend there was no liberal drift in the SBC. I have personally attended a number of Billy Graham crusades dating back to the late 1950s. These were in Los Angeles CA and later in San Jose CA. If Billy Graham is a universalist it must be a relatively recent change. A noted Baptist in our heritage, Roger Williams, is reputed to have become a universalist in later life. I wonder if some people loose their theological mooring in old age. "Lord, are you at this time going to restore the kingdom to "Israel?" What the disciples meant by kingdom was certainly not what Jesus had been teaching. The disciples were still thinking in terms of a nationalistic kingdom rather than a slowly growing nation of all ethnic groups from that time till the end of time. Could we, perhaps be somewhat confused about the kingdom as well. Who is in charge, who is safe guarding the kingdom? Where does the perpetual force and motion of the kingdom come from? Who threatens to stop it? Is it at risk? Did we indeed, do the kingdom a great service? I've watched these post today in silence. Some inspire me. Some grieve me. I long to be inspired. Talk about building bridges to Southern Baptist, Jesus built bridges to the world. "If Billy Graham were a leader in the SBC, were a professor in one of our seminaries or the head of an agency, I would be very upset with what he says. The compromises he is making are fundamental and dangerous." You make several excellent points. God bless!!! First, the point about silence concerning Dr. Graham's statement in contrast to the verbal target practice directed to remarks of other people is well taken. Second: several remarks have been made concerning what might happen, or what the reaction would be, were Dr. Graham to preach in our church, or to teach in a seminary, or to serve on a board or as a missionary, etc. I object to that, very much. We certainly do not need to introduce hypothetical situations into the mix here, and then use that for pot-shots. 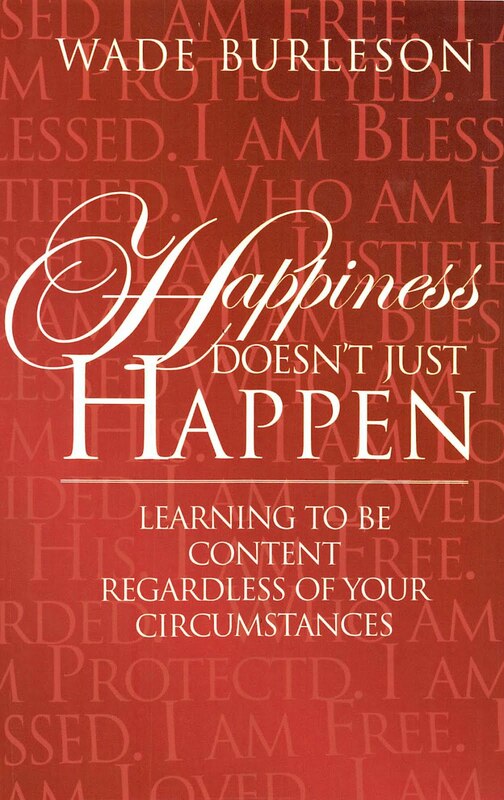 Why can't we stick to what IS and what HAS happened? Last, if we have anything against what Dr. Graham has said, I'd think we'd go to him about it. I wonder how many of the commenters here have asked Dr. Graham about his remarks. I believe the Bible addresses thatl. Scripture is so clear about what it's clear about, that there is no call to be angry about what it isn't. We claim our faith is a unique experience for each of us, and then throw rocks at those who disagree with us, about things that are inconsequential. There's a lot about the Bible I understand. There's a lot of it I don't. But there's a LOT about "religion" that I really don't understand. I think I'm happy about that, frankly. You always weigh in here with your solidly conservative perspective. You must be in TN if you are a Volunteer's fan. Most people who now regularly comment on this BLOG go by their name. Even people still going by a pseudo name sign their real name once and a while. You said this was “an outstanding point” and pointed out that none of the ‘fired’ Southern Baptist personnel would have come close to saying what Graham said in Newsweek. The IMB, in removing people from the Call of God, is making their creed higher than God. Each “No” boosts the egos of men in power and makes the circle smaller until one day the circle may be empty. 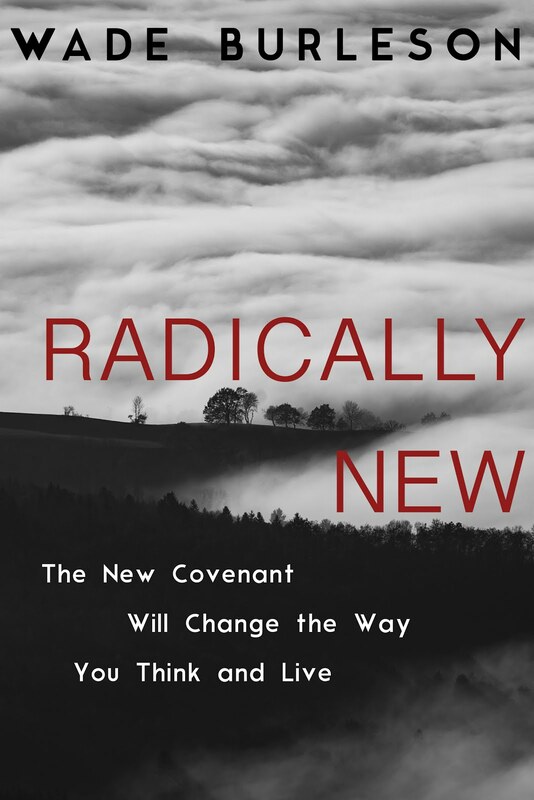 The ‘glue of doctrine’, mandated by the conservative resurgence, is like invisible ink—it’s there until it dissolves itself. While the ‘glue of missions’, still practiced by the CBF, marches on in increasing numbers as ex-missionaries of the SBC make the switch. Thanks for expressing you agreement with Katya and me. I thought cats could see good, but you need glasses. You have exposed the root of the problem and Wade did not over compliment you. I agree with the spirit of Wade’s post, but in my original comments to Rex, I wasn’t really agreeing with him, as you have read it. As an IMB missionary, I am often dismayed to read comments posted here that reflect negatively on my organization. The “IMB” does not “yell back” at candidates. The candidate consultants are some of the most sensitive, prayerful and encouraging people I have known. The IMB is not seeking to make it harder for people to fulfill their calling to cross-cultural ministry. The IMB administration sometimes finds its hands tied because of trustee decisions. However, any organization ought to try to learn from past mistakes. Sending unhealthy people to the field, whether they are physically unfit, suffer from depression or other mental or emotional illnesses, or spiritually unfit can lead to tremendous disasters that in no way bring glory to God. The Bible does not specifically address these issues, but should we criticize the IMB because it does? Characterizing the IMB as a group of powerful, ego-centric men blindly working to their own demise just isn’t accurate. Thanks for letting me chime in again. Blessings to you all! I agree God is calling, but He is calling for us to feed his sheep the truth of his word. He is not calling us to feed them garbage. 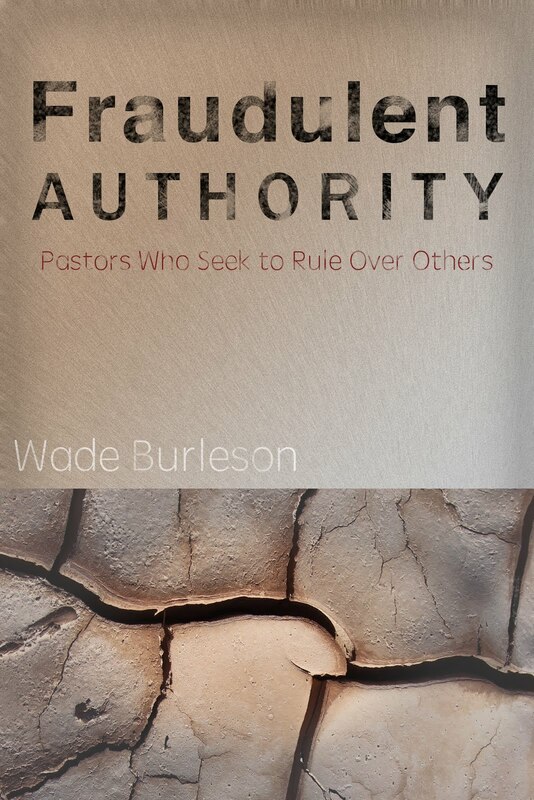 If you and Wade had your way, we would have drunken sheep uttering unintelligible things to unregenerate church members that even their unbiblical women pastor friends could not understand. Their tithes and offerings would be supporting CBF teachings on the field which are clearly differing from mainstream SBC teachings. Perhaps you and Wade should get new glasses. Then you might see that your beliefs are more in line with those who chose to leave the SBC and form the CBF. Perhaps you and Wade might consider doing the same rather than destroying the SBC? my first name is smokey. my middle name is big. my last name is orange. i do live in tn and i am a huge tn vol fan. you? Many thanks for the affirmation, and yes those are chemical reagents behind me (but nothing dangerous). To Jeff Young, I would like to clarify my position on removing our children from public schools. I did not mean to criticize any individual Southern Baptist (or anyone else) who weighs all the factors and decides to home school or to send their children to a private school. My concern is that the SBC will pass a resolution recommending that all of us withdraw our children from public schools. My son and daughter have attended both private (Baptist) and public schools, and my wife has taught at both. In some cases, for a variety of reasons, private schools may be a better option. However, I am strongly influenced in my opinion on this matter by my daughter's experiences. She is a high school student and attends a public school. She also serves as an intern at our church as minister to middle school girls. I have seen the fruit that her life has produced among her classmates. Without her and others like her, many of these people would have gone through their youth, which is the time when most people who accept Christ make this decision, without ever hearing a positive word about our savior. The thought of losing all that salt and light if all Southern Baptists withdrew their children from public schools breaks my heart. We must look to the best interests of our children, but surely teaching them to serve and evangelize early in life is in their best interest. Granted, it takes extra time at home and at church to make sure they are well grounded and able to resist temptations and any humanist slant that comes up in their courses, but the results must be regarded as worth the effort. Don't you agree? maybe we should stop calling liberals liberals. its a label they hate. maybe we should go back to using the bible word for them. that word is heretic, or false teacher, or false prophet, or apostate. any of these words would fit them, and they are bible words...since they dont like the label "liberal." and, moderates need to wake up. they need to see the danger that apostates pose to the church, and they need to see that God does not like apostates. and, the bible teaches us to not be unequally yoked to such people as well. Mark Driscoll posted today an outstanding article relating to mainline denominations at resurgence.com. I know some of you will say, but are you calling the CBF, BGAV, and BGCT liberal? No, I'm not, but can anyone doubt that the same liberal professors that left to find a more comfortable home in the CBF would not have taken the SBC down the same road? Thank God for the Conservative Resurgence! And IF Billy Graham really has denied the faith, then no, I would not let him preach from my pulpit, nor would I vote for him to serve as a trustee. I do think a statue was a bad idea anyway. IF he has become a new Finney, then let us call him that. God forgive us if we don't. Theology-smeology. Has anyone considered the possibility that Dr. Graham's comments come from the mature (read: Biblical wisdom) attitude that whom God saves is up to God? George Whitfield, along with Jonathan Edwards and John Wesley, was one of the leading preachers of the Great Awakening. He is buried in England, but in the Methodist Archives at Drew University, his POINTING FINGER is preserved in formaldehyde (OK, my spelling isn't inerrant, but you get the idea). A whole lot of preachers, including far too many Baptists, preach, speak, and act as if their pointing finger was the finger of God--as if we are the repository of all knowledge and understanding, and we are obligated to share what we think is true, on every subject, with everyone, and make every disagreement a fundamental issue of faith. Granted, we can all read the Bible and draw certain conclusions. But the bottom line is that God has the final say and authority, not our conclusions, our logic, or our fingers. Maybe as Southern Baptists, we would all (fundamentalist, conservative, moderate, or whatever) be better off were we to adopt the attitude of Dr. Graham and Gamaliel (Acts 5:34ff, especially 5:38). AND more Biblical in the process. Wade: This is a good post; glad to entertaining such notions. I hope they take you with all deliberate speed to Randall Balmer's new Book Thy Kingdom Come, especially his chapter Where Have All the Baptists gone. I encourage you to encourage Frank Page and all who see this comment to go post haste to the site www.faithinpubliclife.org for that discussion. And if not breaching blog etiquette, please check my post today at www.foxofbama.blogspot.com where I take my friend Bruce Gourley and Mercer to task for stopping short of the implications of what they if anybody should know is Baptist witness in America at this moment. About Billy Graham. I applaud Jon Meacham's work on the whole. In fact I referenced Meacham in a letter published in Roy Moore's hometown paper, Gadsden Alabama, about a 12 minute or so stout conversation I had with Moore march 22 of this year. But Meacham is a little naive in his take on Graham, though he has a lot in Newsweek interview to prick the conscience of leading players in SBC life, and again I thank you for that. But you cannot understand Graham, if you are not well versed in Marshall Frady's 79 bio of Graham. I feel you may be now where Frady found Graham to be then. And my fear is Franklin and you and Ben Cole and maybe even Marty Duren are gonna confuse lot of folks in your well meaning naivete, if you don't embark on a crash course to go to the belly of the monster that is now the SBC before you repeat the same mistakes Billy Graham at your age made. Hope you understand. Like you trying to grow in grace and goodness atsame time being wise as a serpent and harmless as a Dove. Jesse Jackson was one of Marshall Frady's best friends. The Rev. Jesse Jackson, a close friend, presided over a memorial service at Rowland Funeral Home in North August S. C.
He published stories on Both Graham and Jackson. Which were true? Here's what he said about Jesse Jackson. . .
"One can come across any number of chaps holding forth on street corners who imagine themselves prophets to their time, but what makes Jackson fascinating is that he has actually held the wherewithal for it-- the creative largeness of moral vision, the spiritual voltages: as his grandmother used to say, "Jesse can see." His struggle has been to reach that moral-heroic promise he has sensed in himself since the bleak, pent desperations of his youth; indeed, one seldom encounters a comparably consequential public figure who has so consciously set about constructing himself to such a grandiose measure. But it may be that he has lost that possibility, even with all his gifts, simply because he's tried for it too urgently and exorbitantly, has needed it too much, owing precisely to his beginnings. I could have never guessed all this about him when I started out. But Jackson's story is one you just don't come across every day. He's way beyond just a journalistic or political figure. He's fully got the magnitude of some . . . So, according to Frady, Jesse Jackson has moral vision, heroic promise and magnitude of character. This same writer maligned Billy Graham and we believe every word? Not only that, we eagerly quote him. Frady’s critique of Billy Graham is that he is truly upright, clean-cut, pious and dedicated, eager to please and ready to interpret any moral dilemma in the most optimistic manner. I work in the media. Believe me, just because its in print, doesn't make it so. It bothers me that a man like Billy Graham is so quickly and easily defamed and sadly his brother and sisters are the ones doing it. Isn't everyone saddened by comments like the one the new Cat made above, regardless of their point of view on these issues? Is someone trying to make that very point by taking on that attitude? I'd hope that is it and the Cat isn't really real. Alice in Wonderland? Sop you are seriously srthrn: Looks like you have never read Frady's great and seminal work on Graham. It was written in 79. Like the rest of us Graham has pilgrimmed on. Jesse Jackson has major flaws and I think Frady gets to them in his book. He did a two hour narration of a documentary on Graham for PBS. My point is lot of young conservatives are making the same kind of mistakes Graham was making at that age. I do hope you would have the integrity to find a copy of Frady's collection Southerners, as well as get your hands on the Hal Crowtther tribute in Gather at the River, or the original in the Jan 05 issue of John Grisham's Oxford American. But if you persist in living in your rose colored world, I can't stop you. FTR, Jesse Jackson was no better than the pre shot Wallace, when Jackson endorsed Sharpe James for Mayor of Newark NJ, captured in the Oscar nominated film Street Fight. After the Sound of Music, you may want to watch that one somenight, from your local Blockbusters. Have you met Billy's grandson Stephen Tchvidjian. He is not a nice guy, but it seems like the young grandson that preaches north of Raleigh may be quite swell. And my point is that Mr Graham's reputation has been seriously questioned and maligned here and I've heard many here say they would refuse to share their pulpit with him on what evidence? Blog evidence? Accusing an elder is serious business and I believe God is serious about it. I'm not interested in the reputation of his grandson. If by having rose colored glasses you mean, I prefer to look at "whatsoever things are true, whatsoever things are honorable, ... whatsoever things are lovely, whatsoever things are of good report; " then I prefer that filter, YES by all means. Accusing an elder in blogosphere is neither scriptural or godly and perpetuating those accusations is equal to the same. Nice presentation. The point is that neither a young Billy Graham, nor Jesus Himself could qualify to serve God through the SBC missionary agencies. Jesus would be fired for holding to His integrity and convictions and not letting convention leaders subvert the role of God in His life. I read Monte's comments and agree quite a bit with him. We, too, were missionaries for 11 years in Central Europe with FMB/IMB. We too served faithfully, and were loved and respected by our people group (we still are, and hear weekly from beloved friends in Hungary). We too had learned the language, and were serving the Lord where we were supposed to be. We had earned the respect and appreciation of Hungarian Baptists all over the country. But the SBC didn't care about any of that. They threw away 77 veteran families of missionaries, just to show that they had the power to do it. It was all about power and politics; not at all about doctrine and theology. The people who did this, gutted the organizations, forced out anyone with the conviction to stand up to them, including some that they themselves had appointed to replace leaders who they had previoiusly forced out. There is nothing left to salvage, and no seasoned leaders remaining to do it, even if it were possible. That being said, I wish you success in helping people get rid of their continual inquistions, and consuming lust to shrink the circles of who is qualified to serve them, until in the end not even they themselves can qualify. What you are attempting is a starting point. It won't help those who have been forced out, nor will it bring any rapid restoration of the SBC organizations. I hope the SBC has gotten to the point where they are open to admitting that they have a really huge spiritual problem and are willing to listen to advice. That would be a break through. May God empower you to be successful in trying to bring the SBC back to God. as a conservative....my voting and my actions were all done to keep us true to the Word of God. in fact, just about every conservative that i know who fought for the conservative resurgence did it for doctrinal and theological reasons. i dont know of one who did it due to political power reasons. I try not to make cut-downs if they’re not based on truth. Why did I say you need glasses? You used the popular term, ‘out—of—context’, to criticize Wade’s quotation of Graham’s statement. Then you quoted the statement of Graham and it was the same that Wade quoted. Saying “You need glasses” is a nice way of saying you didn’t tell the truth. What “garbage” did signing the BFM eliminate? You agreed “God is calling—“Come fed my sheep”, but you did not agree that the IMB denied God of using HIS servants because they would not sign the BFM that gave allegiance to a man-made creed. Cat, what proof do you have that CBF teachings on the field are different from mainstream SBC teachings? Also what teachings of SBC are different from mainstream SBC? You keep saying, “You and Wade…” It’s easy to see you are cutting Wade down by connecting him with a Moderate. I wish Wade would become a Moderate—but don’t imply that he is one for that is another one of your sly ways of not telling the truth. Cat, it was your kind that hijacked the real SBC and made it what it is today. I believe Wade is trying to keep it from destroying itself. Just think, Cat, you and I may be sitting next to each other at the Lord’s Table, and we won’t remember any of this bickering—we’ll just know what each of us has done for Jesus. Hallelujah! Volfan, do you ever feel like there are scriptures that aren't clear? I’m sorry I did not make it clear that it was God that the IMB yelled back at; and Not candidates. Ranking also promised missionaries if they did not sign, they would NOT be fired. Both promises were broken because of ‘pressure’ put on Rankin. The pressure started when Scott Mcintosh (missionary) asked a publication to stop being sent to him as he was tired of hearing negative statements about the BGCT. His email ended up on the desk of Morris Chapman. Chapman called Rankin. Katya, it has been a mystery who was going “to undercut the credibility and support of the IMB.” I know it wasn’t moderates. Does AMYBODY know? After the vice-president of the IMB (Avery Willis) started telling missionaries on ‘state-side assignment’ they could not go back until they signed the BFM, Rankin followed suit. That sounds like Rankin is saying the BFM and the Bible are the same thing. Is that more ‘buck passing’? Can the trustees do something the IMB is against? Thanks for writing back. I appreciate your taking time to respond, although I think you and I are far enough apart on this issue that further debate would not be constructive. P.S. Rex, I hope you spend as much time praying for the IMB and Jerry Rankin as you do writing letters to them. of course there are scriptures that are not clear. there are many gray areas of the bible that you and i could disagree on and still be considered brothers in Christ. but, there are many clear, black and white teachings that we should all agree on in order to stay in the same church, or the same denomination. and, there are some essential doctrines....essential, fundamental teachings in the bible that we must agree with in order to be considered a true believer. in the gray areas.....in the truly gray areas....love and unity and understanding. in the clear teachings, we must believe them and live by them. in the essential teachings...in the fundamentals...there must be agreement, or else you are a heretic...a false teacher. You say, “…further debate would not be constructive.” Do you mean my words would not construct to your way of thinking? Do you know who or what was going “to undercut the credibility and support of the IMB” that Rankin referred to? That was why he ASKED missionaries to sign the BFM. Katya, are you at the point of saying, ‘my mind is made up—don’t confuse me with the facts’? I thought we were in a discussion and not a debate. I’m sorry that you read my p.s. as a cut down. It wasn’t intended that way. I do sincerely hope that you and others, especially those critical of the IMB, pray often for our leaders as well as the missionaries. When I read your clarification, that the IMB isn’t yelling at missionary candidates, but at God himself, I realized that you and I do not have enough common ground to continue discussion. There are few people in the SBC that I still have a lick of respect for. You're one of them. While I agree with you when you say that we need to come to a common place within our faith I would prefer to find that place by having the leadership of the SBC admit to a few things - confession as agreement if you will- starting with the whole innerrancy debate to be agreed upon as a difference in opinions and not an opinion against fact. I feel as if what is wrong above everything else in the SBC is that there are just some unbiblical practices going on. I don't drink alcohol, don't encourage it at all, and know that my Bible does not condemn it. The SBC has taken a stance a step beyond the Bible. Why they will not admit to this is beyond me. I'm not inclined to speaking in tongues, but the Bible does not clearly state beyond a shadow of a doubt that tongues indeed has ceased - only that one day it will. Why is this too not accepted as an opinion but instead treated as a doctrinal stance? Wade, I don't mean to ask you to step into a box, but I for the life of me can not understand why when something is not of the Bible "conservatives" throw a fit when you ask them to show you. Southern Baptists are a people of the Book, but I'll be the first to tell ya, a lot of what the Southern Baptist beleive just ain't in the Book! Would you mind validating this point of view in some way if I am correct in my thinking or correct me if I am not. I think the reason Billy Graham is so accepted despite his differing viewpoints is because he is honest and does not try to pass off his opinions as offcial doctrines. He had differing viewpoints for years and yet thousands to Christ. We respect him for hs work and because he says this is how I believe, not, if you don't believe as I do you can not be part of me. Best I can tell only Jesus was able to make such a claim and Billy Graham knew it. My uncle often ran the Japanese blockade to get hospital supplies—being robbed by bandits but they always ignored the supplies. Sometimes it took 100 men to carry the supplies over the mountains. On one trip (before 1941) he demanded a Japanese general pay $400 for his new motorcycle when their planes sunk the boat. As machine gun bullets were flying, my uncle lay in a corner and a woman threw herself on him. Later, he thanked her for protecting him. “On no, Reverend Ray, I knew the Lord was going to protect you and that was the safest place.” He saved three Christian women from drowning; one was floating upside-down in the river. Once he was caught, but the ‘receipt for the $400’ convinced the Japanese that my uncle was working for the general. Another time, he had a mental picture of the ‘end of Rex Ray’ laying face-down dead in a ditch from aircraft. To remedy the situation he turned over on his back as bullets pounded the ground around him. After many weeks of being held for ransom, my uncle prayed for a cloud to separate him from bandits and this started a two day footrace to freedom. After his death, his daughter made a book of his writings. It was used by the WMU as a study book for a long time. Dan Ray took over his father’s work in Korea for 39 years. Also, his son has been a missionary over 20 years. My son was the director of the ‘Baptist Village’ in Israel until he worked with Arabs for a total of 7 years. Katya, I said all this partly to show you missionaries are my heroes. So when you (a missionary) tells me, “I realized that you and I do not have enough common ground to continue discussion”, it hurts a lot. I realized it is because our view-points are different at looking at the IMB. I don’t know your age, but I see what the IMB used to be and what it is now. Look at China. When missionaries were allowed back in China, the number of Christians had tripled. I believe the thousands of lives saved by the skilled hands of surgeon Bill Wallace had a part. He died a martyr because he would not leave his work. The deeds done by Christians speak louder and longer than words. The present IMB would have told Wallace to trade his hospital for planting churches. The present IMB may have removed Wallace if he was overweight. The IMB has changed from a ‘sending agency’ into experts of religion and commands of men. I believe it’s time for more guidance by the Holy Spirit and less by men. You have made some very strong statements against the IMB in your comments. In essence, you said that the IMB is defying and fighting against God by making missionaries sign the BF&M; enforcing extra-Biblical requirements on missionaries; by not allowing missionaries to be pastors of English-language churches. Are you a member of an SBC church? Does that church contribute to the Cooperative Program? If so, you are supporting an agency that, in your own mind, is opposed to God. How can you do that? If that’s not really what you meant, then maybe you shouldn’t use such strong language. If it is exactly what you meant, then why do you even care about an organization that you perceive to be so misguided and ungodly? You say that Mark 12:38, Luke 20:46 and Matthew 15:9 apply to the IMB equating the IMB with the teachers of the law and the Pharisees. Jesus called those men hypocrites. Are you saying that IMB administrators are hypocrites? I know some of our administrative people, including Dr. and Mrs. Rankin, and they are not hypocrites! You may not agree with IMB policy, but that does not make those who are responsible for carrying out the policy hypocrites. You said that I need to “take off the rose colored glasses and see TRUTH”. I wish I had a pair, because much of what I see day to day is ugly. Lostness, alcoholism, a sick, post-Soviet society, corruption, people with a religion but not a relationship, an unfulfilled longing to have a greater impact on the lost world around me, the list goes on and on. The truth I choose to believe is that the IMB administration and the field personnel are sincerely trying to address these things. We are not perfect, but we are trying. But as I said earlier, there is a difference between the IMB administration and the IMB board of trustees. A few posts ago, you asked, “Can the trustees do something the IMB is against?” Yes, I think they can and they do. I have been following a series of posts at the Baptist Blogger. Ben Cole is publishing, in parts, an article entitled “CPM’s and the Crisis of Power in the Southern Baptist Convention.” I don’t know if you’ve been following it, but it gives some insight into the twisted, convoluted political processes that play a role in the IMB. If Wade cared to step into our discussion, I’m certain that he could comment about this. Contrary to what you believe, the IMB is still a sending agency. The world has and continues to change, and so do methods for reaching the lost. Yes, there are problems at the IMB that need to be addressed. But, to my way of thinking, making highly offensive comments is not the best way to begin such a discussion. I do appreciate your taking time to write and share your heart. We will probably still have a hard time finding common ground, but I appreciate your willingness to try to find some. May God bless you in your ministry. I am a charter member of a small country Southern Baptist BGCT church that was organized in 1944. You ask a thought provoking question of why I stay a Southern Baptist and support the SBC when I criticize the SBC and the IMB severely. By the way, last year, our church was given an award for giving the most money to the SBC per person than any church in our association. Most in our church do not know what the Cooperative Baptist Fellowship is or what it does; the same with the BWA. I look at the SBC as being led down a Catholic road by its legalistic leaders. This got a good start with Criswell declaring moderates were ‘skunks’ and the pastor is the ruler of the church. Another picture would be a sinking ship into the ‘ocean of Catholicism.’ Whereas Jimmy Carter abandoned ship, I decided to bail water. The main leak is the BFM. Bailing water may be useless if we don’t stop the leak. On Friday August 26, Wade gave three objections when he signed the present BFM. He wrote ‘objections’ as ‘caveats.’ (Had to look that word up; means ‘let the buyer beware.’) His “caveats” included prohibiting women from being pastors, changing ‘priesthood of believer’ to ‘the priesthood of believers’, and forcing people to sign the BFM made it a creed. Hey! I agree with Wade that these things are wrong to be in the BFM. Rankin is a good man that would not fire missionaries as he promised until the vice-president of IMB put their jobs on the line. I believe Rankin saw his job fading if he did not break his promise. Is that being a hypocrite? I don’t think so, but his word wilted under pressure. I haven’t read Ben Cole’s blog; sounds like we are saying some of the same. Yes, I wish we could all have rose colored glasses, life would produce fewer hurts. You described an ‘unlovely situation.’ And yet, that is where God wants us to work. Today, I spent 12 hours up and down a 20 foot scaffold to finish a ‘sound wall’ in our church. There were only 3 men on this ‘work day’; where were the others? I think, if I can work six days a week, looks like they could work one. Once, I asked my wife why she was crying—“I wish people wouldn’t pick on you so much.” I told her they do that because they like me (except the ear twister at times). Once, I complained about him to someone, and the guy said, “Do you know what he said about you?—you were the best Christian he knew.” Wow! He sure knows how to hurt a guy—especially when he brags on you. Katya, the devil uses ‘hurts’ to make us lose focus. Last work day, when I suggested an easier way to do something, and before I could explain why, in front of people, the same guy grabbed my shirt with both hands, and started pushing me backwards while screaming that I always knew a better way. I’ve never had a fight, but I wanted to hit him. I wanted to quit work, quit the church—I’d show him. Is that what I should do to the SBC, or should I keep loving my brother and sisters in trying to show a better way so Christ can be lifted up. Next day we’re sitting side by side in choir singing about the love of Jesus. The attempt you are trying to make within the SBC is a futile one. God in His Sovereignty may not allow such "pie in the sky." Church History has proven through diversity and difference of opinion new churches were built and the gospel was spread in spite of theological division. Its all about God, not the SBC. He is in control and all we have to do is follow. We have "bigger fish to fry than worrying about complete unity within our denomination. Souls are lost and dying and going to hell. If we would be about the business of soul-winning we wouldn't have time to worry about what each other is doing anyway! No arguing here. You will be inspired.